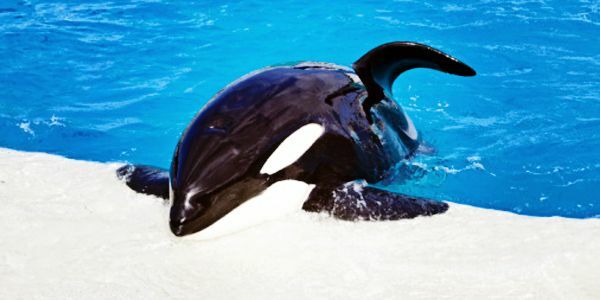 California: Pass Bill Banning Orca Performances! Animal advocates are applauding the introduction of a groundbreaking bill that seeks to ban orca captivity in California and retire the state's current residents to sea pens. The bill, the Orca Welfare and Safety Act (AB 2140), was introduced by California Assembly member Richard Bloom (D-Santa Monica), in response to the growing concerns about the inherent cruelty of confining a complex apex predator to a tank that were raised in the documentary Blackfish. California's bill has three main goals that include banning the use of orcas as performers in theme shows, ending captive breeding programs and ending the import and export of orcas into and out of the state. It would also require that the state's 10 captive orcas who are currently at SeaWorld San Diego be retired to sea pens if possible or kept on display only and would exempt any orcas who are being held as a part of a rescue and rehabilitation effort. Please sign this petition asking California's lawmakers to support and co-sponsor this landmark legislation to end the suffering of orcas who are being held prisoner. As someone who is concerned about animal welfare, I was thrilled to learn about the introduction of the Orca Welfare Safety Act (AB 2140), which seeks to ban orca performances and captivity in California. Since the documentary Blackfish debuted, public awareness about the problems associated with keeping orcas in captivity has grown and attitudes appear to be shifting in their favor as more people continue to oppose the practice. This common sense bill would ban the use of orcas as performers in theme shows, end captive breeding programs and end the import and export of orcas into and out of the state. It would also require that the state's 10 captive orcas who are currently at SeaWorld be retired to sea pens if possible or kept on display only and would exempt any orcas who are being held as a part of a rescue and rehabilitation effort. Other facilities, including California's own Monterey Aquarium have proven that it is possible to successfully run and keep tourists coming without the confining cetaceans to tanks. I sincerely hope you will support and co-sponsor this groundbreaking legislation to protect orcas from the cruelty inherent in keeping them captive.